Since September 11, 2001, Muhammad has been treated as both an icon of peace and a harbinger of war, depending on how one interprets his own teachings and/or distinguishes them from those of Islamo-facism. Mormon scripture, and the teachings of its leaders give a fuller view of how the Church of Jesus Christ of Latter-day Saints views Muhammad and Islam (as well as all other faiths) and provides guidelines for its members in seeking to understand and to reach out to those of other faiths. “For none of these iniquities come of the Lord; for he doeth that which is good among the children of men; and he doeth nothing save it be plain unto the children of men; and he inviteth them all to come unto him and partake of his goodness; and he denieth none that come unto him, black and white, bond and free, male and female; and he remembereth the heathen; and all are alike unto God, both Jew and Gentile” (2 Nephi 26:33; see also vv. 26-32). “For behold, the Lord doth grant unto all nations, of their own nation and tongue, to teach his word, yea, in wisdom, all that he seeth fit that they should have; therefore we see that the Lord doth counsel in wisdom, according to that which is just and true” (Alma 29:8). “And set in order the churches, and study and learn, and become acquainted with all good books, and with languages, tongues, and people” (D&C 90:15). Joseph Smith: “We ought always to be aware of those prejudices which sometimes so strangely present themselves, and are so congenial to human nature, against our friends, neighbors, and brethren of the world, who choose to differ from us in opinion and in matters of faith. Our religion is between us and our God. Their religion is between them and their God. “There is a love from God that should be exercised toward those of our faith, who walk uprightly, which is peculiar to itself, but it is without prejudice; it also gives scope to the mind, which enables us to conduct ourselves with greater liberality towards all that are not of our faith, than what they exercise towards one another” (Teachings, 1973, 146-147). B. H. Roberts: “[God] raises up wise men and prophets here and there among all the children of men, of their own tongue and nationality, speaking to them through means that they can comprehend; not always giving a fulness of truth such as may be found in the fulness of the gospel of Jesus Christ; but always giving that measure of truth that the people are prepared to receive. . . . . So with the Arabian prophet, that wild spirit that turned the Arabians from worshiping idols to a conception of the Creator of heaven and earth that was more excellent than their previous conception of Deity . . . Wherever God finds a soul sufficiently enlightened and pure; one with whom his Spirit can communicate, lo! he makes of him a teacher of men” (Defense of the Faith and the Saints, “Revelation and Inspiration,” volume 1, Part 3, chapter 4, pp. 512-513). Orson F. Whitney: “Other good and great men, not bearing the Priesthood, but possessing profundity of thought, great wisdom, and a desire to uplift their fellows, have been sent by the Almighty into many nations, to give them, not the fullness of the Gospel, but that portion of truth that they were able to receive and wisely use” (LDS Conference Reports [Salt Lake City: Deseret Book, April 1921], pp. 32-33). 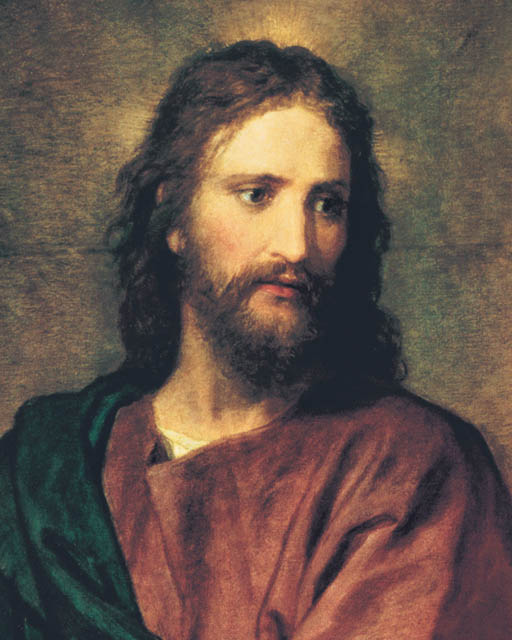 On February 15, 1978 the First Presidency, (the highest ruling body of the Church), declared in an official statement titled God’s Love for All Mankind that “the “great religious leaders of the world such as Mohammed, Confucius, and the Reformers, as well as philosophers including Socrates, Plato, and others, received a portion of God’s light. Moral truths were given to them by God to enlighten whole nations and to bring a higher level of understanding to individuals” (Emphasis added in all of the above). As seen from the above, the quoted scriptures and Mormon Church leaders teach that God has inspired many individuals in world history, including Muhammad, to lift people to a higher level of understanding and obedience to his will. Today, more than ever before, Muhammad and the faith he founded is in the news, and primarily is cast in a negative light. It is now so easy to surf the Internet for justification from both external sources and internal Islamic sources to manufacture a pure and perfect or sinister and devilish Islam, that it is increasingly difficult to discern what is real and what is fantasy about Muhammad and Islam. Significantly, aside from acknowledging that Muhammad “received a portion of God’s light,” no particular judgment, for, or against him, (or Islam), have emerged from the scriptures or the teachings of Mormon Church leaders, and particularly from the official 1978 statement. What has been emphasized is the need to look for God’s inspiration and the good in other faiths, and to build bridges of faith and understanding between the Church and those of other faiths. Therefore, how should Mormons view Muhammad? In short, Muhammad should be viewed as one who received inspiration from God to help raise a major portion of humanity to a higher level of obedience to immutable moral truths. Inevitably, this higher level of understanding and obedience has immeasurably good results for adherents who sincerely strive to live according to the moral principles taught within their faith. Therefore, Muhammad should be seen as God’s instrument to bring these people to a higher level of obedience to his will.